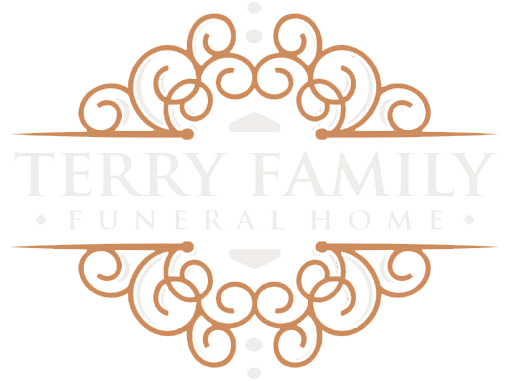 Terry Family Funeral Home is owned and operated by Dwight and Amy Terry. Thank you for taking the time out of your busy day to visit Terry Family Funeral Home. Perhaps you are just browsing, looking for an obituary of a loved one or need directions to us. Maybe you are interested in information regarding our pre-need or at-need services. Whatever the case may be, we are honored to have you visit our site and we are here to serve you! Having served the community for 11 years, we consider ourselves your friends and neighbors. You can be assured that we will treat your family as if they were a part of ours. Call on us when you need compassionate assistance. We are always here. We realize that each family has different needs, and our accommodating family and staff will assist you in creating a meaningful service. We promise to serve your family with dignity, respect, and professionalism. We offer complete personal assistance when planning funeral and cremation services and take the time to carefully explain all your options, so you can select services that truly reflect and honor the life that has been lived. The Terry's have committed themselves to providing families with exceptional customized service, quality merchandise, and compassion. Can I transfer my prearrangement to Terry Family Funeral Home? Absolutely, you may transfer your pre-arrangement to another funeral home at any time. Many people who enter into a prepaid funeral contract do not fully understand what their transferability rights are. Plans can be transferred either before or after death occurs. Most of the laws in Oregon governing prepaid funeral contracts purchased through a funeral home are designed to protect you, the consumer. Terry Family Funeral Home accepts all pre-need transfers without any additional cost to you. For your protection, any funds used to purchase your prepaid funeral are placed in the hands of a third party where they remain until you cancel the contract or the contract is fulfilled. You retain ownership, and therefore control of the funds at all times, up to the point where a licensed funeral home actually performs the contracted services. And even then, the funds can only be released to the funeral home that actually performed the funeral services. A contract can be easily transferred before a death or even after a death occurs. Simply contact Terry Family Funeral Home at 503-249-1788 and we will be able to assist you. In order to transfer the contract, we will assist you in notifying the third party holding the funds who the new funeral home will be. Making this process as simple as possible for you, personally handling all documentation. In most cases the money never actually moves, only the funeral home designation changes. Do you need a copy of your Military Service Record DD-214? Veterans wishing to be buried at Willamette National Cemetery will need this form for fast eligibility authorization. If this form has been lost or misplaced, click on the link above to request a copy. Without this form, the eligibility approval may take a few days for the Veterans Administration to complete. Once you receive your DD-214, we would gladly keep a copy of this on file at the funeral home.